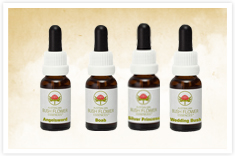 These pure, botanical flower essences are used the world over by practitioners to help people manage the emotional demands of everyday life. They understand that emotional wellbeing is a major component of good health in the whole person. The flowers in these essences possess rare remedial qualities and are gathered in unpolluted and naturally occurring regions of the vast Australian landscape, one rich vitality.